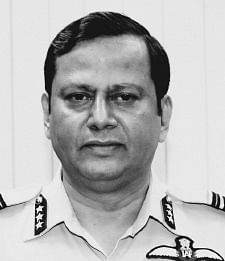 THIRUVANANTHAPURAM: AIR Marshal B Suresh, who hails from Thiruvananthapuram, has assumed charge as Air Officer-in-Charge Personnel (AOP) at Air Headquarters, New Delhi. He is a highly experienced fighter pilot who has flown a variety of fighter aircraft and helicopters, a defence spokesperson said. A graduate of the Rashtriya Indian Military College and the National Defence Academy, Suresh was commissioned as a fighter pilot in the Indian Air Force on December 13, 1980. He is also an alumni of the Tactics and Air Combat Development Establishment (TACDE), the Defence Services Staff College Wellington, and a post-graduate from Cranfield University, Shrivenham, UK. He has commanded No. 2 Squadron (The Winged Arrows), the TACDE, and a strategic fighter base. Staff appointments include Joint Director and Director (Air Staff Inspection), Director Operations (Joint Planning), Directing Staff (TACDE), Air Assistant to Chief of Air Staff, Assistant Chief of Air Staff Operations (Air Defence) and Senior Air Staff Officer, Western Air Command. Suresh is a recipient of two Air Officer Commanding-in-Chief’s commendations - the ‘Vayu Sena Medal’ and the ‘Ati Vishisht Seva Medal’. Suresh is the son of the late T P Balakrishnan Unni and V M Parvathy of Chirakkulam Road in Thiruvananthapuram city. He is married to Radha and they have a son and a daughter.